If you look at where most wealthy people invest their money, a lot of the time, you’ll see that real estate is somewhere on the list. This is because real estate is a lucrative venture and the prospects of that changing any time soon aren’t very high. With that being said, you may be thinking about climbing on the real estate ladder, but not necessarily for the purpose of getting rich. Nevertheless, you can make a significant amount of money from real estate if you apply yourself and learn the important details. Keep reading to find top ways to make money from real estate. To begin with, you can make money form real estate by fixing and flipping homes. If you don’t know what this means, you’d essentially be buying homes in need of renovation and then fixing them up before reselling. In order to make and not lose money doing this, it’s crucial that you ensure you’re making more profit than you’re spending on purchasing and renovating the property. A major mistake to avoid is trying to start a business without having enough money for acquiring the property. You should also have the time, skills, and knowledge to ensure you make a good return on your investments. Another way to make money in the buzzing real estate industry would be by investing in short term rentals. This is where people come and rent your property for short periods as opposed to long ones. Airbnb is a perfect example of this and has done very well so far. If you want to find a good short-term rental property to invest in do your research to find out which areas have a high demand for short-term rentals. The good thing about this option is that if you don’t mind renting your home out to strangers, you won’t need as much to start earning as you would if you wanted to buy and rent out a property. However, to make a good profit, be sure to get the rental price of your home right. You can find the right price by comparing your property with similar rentals in your area and charging slightly less than the competition, to begin with. For those who have a robust amount of capital to work with, investing in a new build would be a good idea. If you want to make money form a new build, the key is to keep the costs of building the home low so that you can make more when selling it. This can be achieved by ensuring both your materials and labor are as cost-effective as possible. In order to do this, take your time to look for affordable contractors. If you look at this site, then you’ll find a company that can help with your new build. Also, don’t be afraid to jump in and do some of the work yourself. This could mean painting walls or laying tiles, for instance. For those who don’t want to dive in head first when it comes to real estate, why not go into property management first instead? With this profession, you’d be dealing with prospects and tenants, so you need to be good at management as well as communication. You should also take a real estate course although a diploma should be more than enough. If you feel as though you’d like to take it to a new level, you should consider starting a property management company & business. It is a relatively affordable business to start as you need almost no business start-up capital. You’ll need to liaise with a range of people such as landlords, tenants and contractors and you’d need to enjoy managing real estates. To make a quick profit without having to go into long and drawn out negotiations, you should consider short selling. This is when the owner of a property is behind on their mortgage and want to get rid of the property before it goes into foreclosure. It will, as a result, be sold for less than is owed on their current mortgage. The only tricky thing about using short sales as a way to make money in real estate is that you typically need to pay for the property outright and in cash. It’s also important to note that short sales take time, but the potential returns could make it worthwhile. If you want to make a lot of money, consider going into commercial real estate. This could be profitable as not only do they focus on flipping properties, but they also add value to them as a way of improving their net incomes. This makes it a good way to make income and profits as long as you can find ways to make the exchange more valuable. The reality is that people will always need office space and retail for the purposes of running their business. Remember that location is important, so you want to invest in one that will likely be in high demand. This option is for people who have a significant amount of capital to invest at the start. This is because you’ll be lending money at high-interest rates to people that typically wouldn’t qualify for such loans. 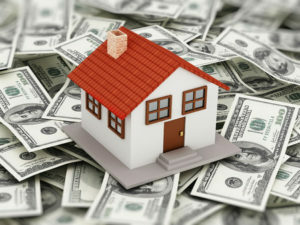 Hard money lending isn’t ideal for people who are new to real estate, but you could give it your best shop nevertheless. However, you will find it far easier if you build your network as well as your capital first. It can be risky, but there is far more reward and you can make a quick profit which is what makes it an attractive option to consider. As you can see, there are many different ways to make money from real estate. You should, therefore, focus on learning as much as possible and then making an informed decision about how you want to invest your money.